A little treat for Thanksgiving. 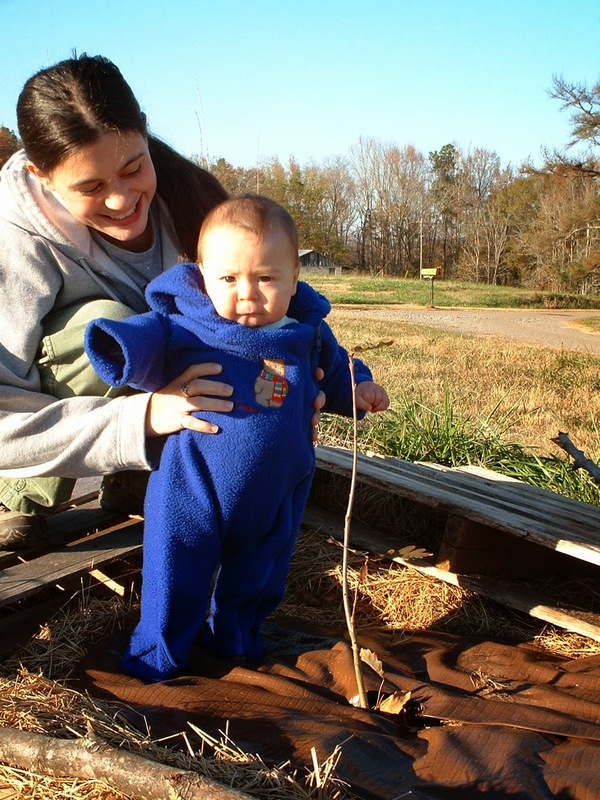 Here is James on his first Thanksgiving, where we were at the Farm in Georgia. He is standing next to his tree that Mema planted to celebrate his birth.